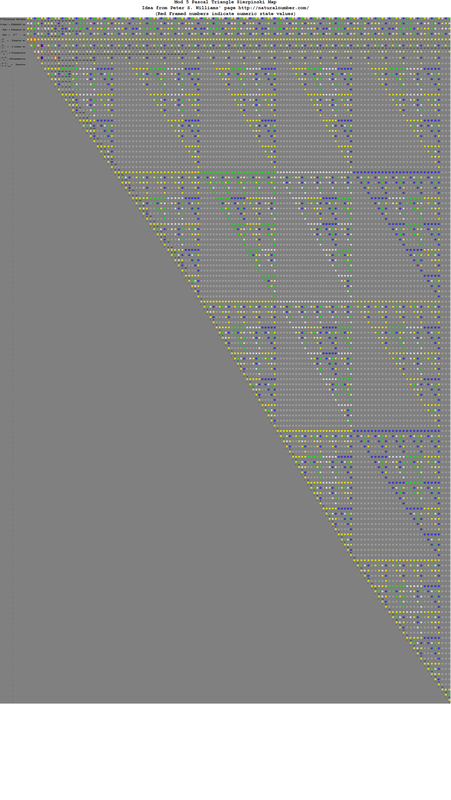 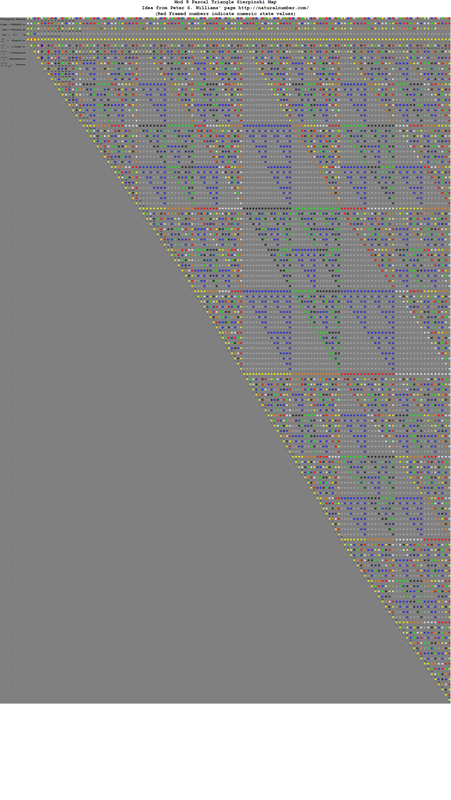 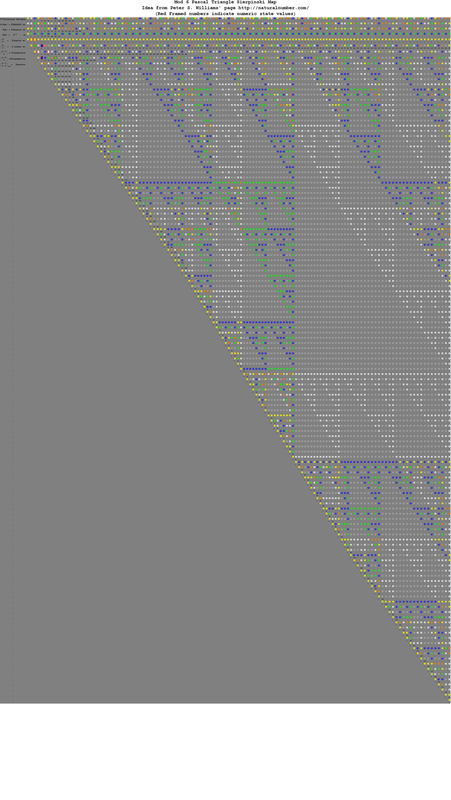 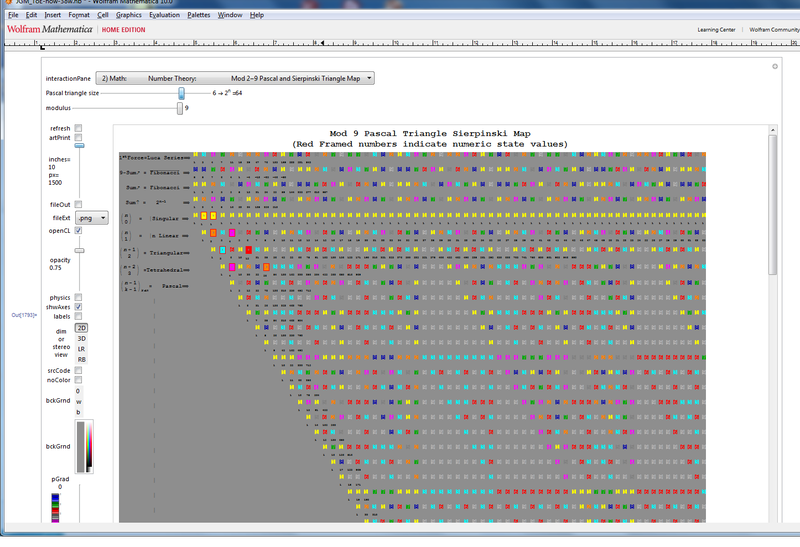 Pascal Triangle and Mod 2-9 Sierpinski Maps | Visualizing a Theory of Everything! 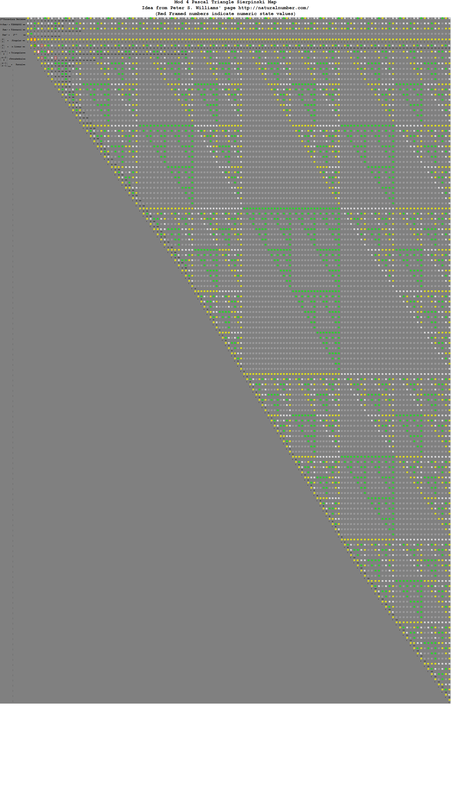 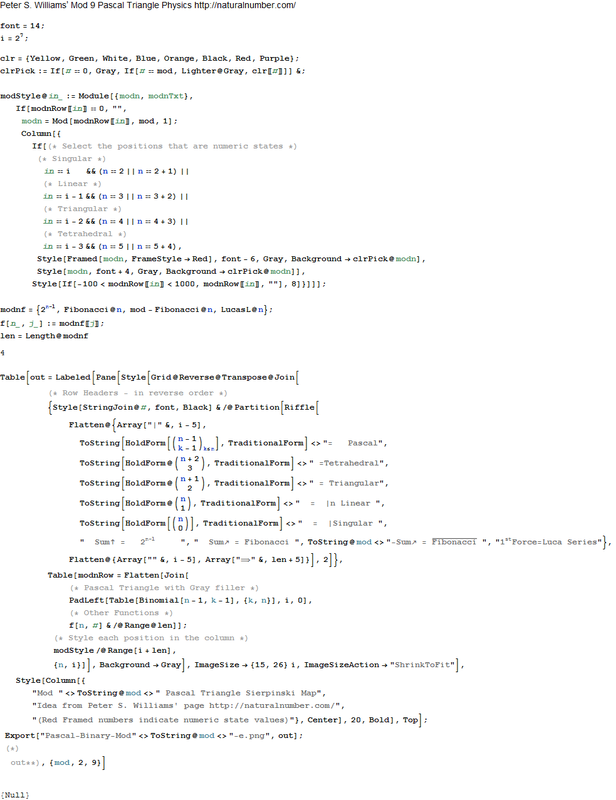 I decided to take a quick dive into an interesting idea from Peter Williams related to how the modulus of binomial numbers are related to the Pascal Triangle. 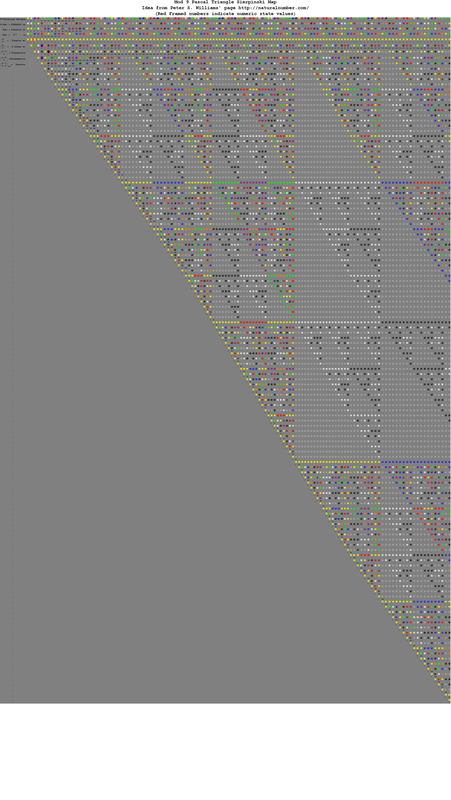 I’ve added this to the VisibLie_E8 viewer as well.